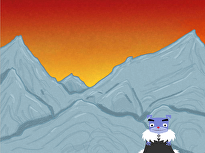 This cat is chasing more than mice, he's chasing his dreams. 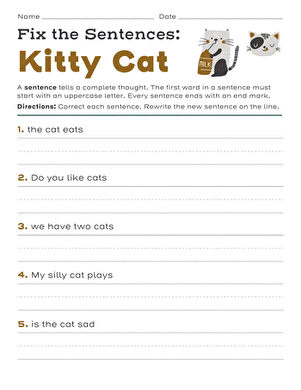 This worksheet will help your kid with his writing skills. He will first need to read the sentence, then determine what the different parts of speech and punctuation used in that sentence are. 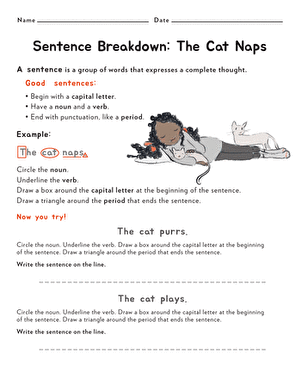 After identifying the noun and the verbs in this sleepy kitty's situation, he will rewrite the sentence himself. 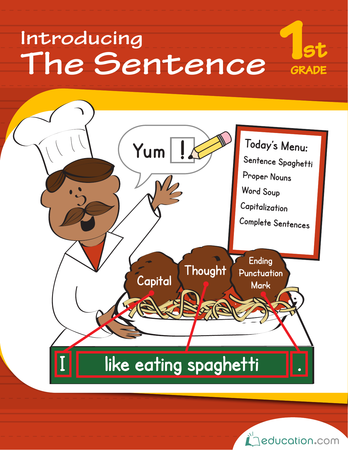 Sort out the ingredients that make a good, solid sentence in this spaghetti-themed worksheet, which lists all the things that give a sentence spice. Slither alongside this snake, in a sentence building worksheet. 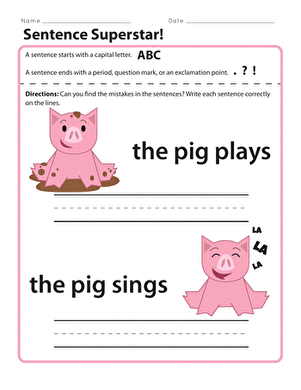 Students will write sentences inspired by the picture and word web in this writing worksheet. Bow Wow: Let's Make a Sentence! 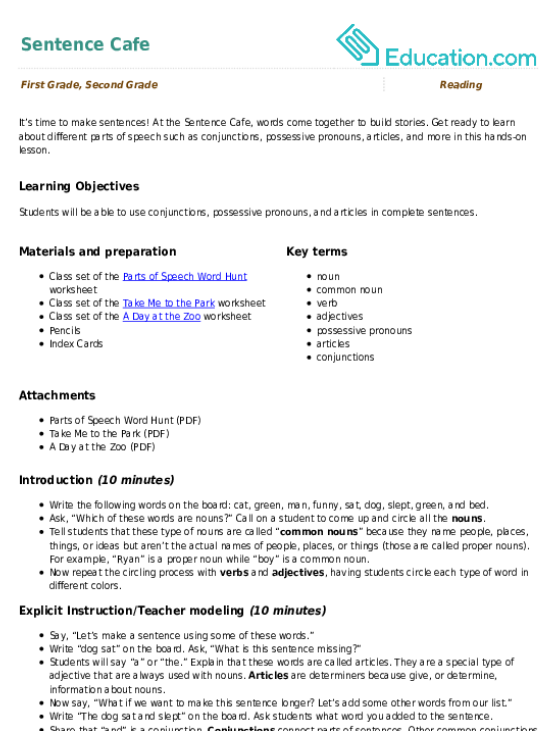 Rearrange the jumbled words to make a complete sentence. 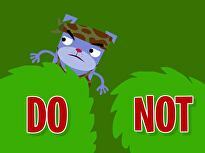 The sentences about pets are written incorrectly. Students will be asked to rewrite each sentence to fix it.